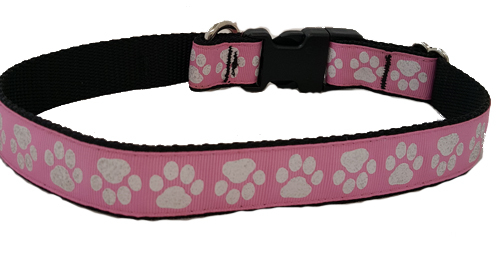 Paw Prints in Pink - $9.00 : Your Pet Store, Made in the USA! Pink paw prints for the girls!! This pattern is ribbon sewn onto high-quality nylon.